I have recently rejoined Cornwall Craft Association and so my work can be found in Trelissick Gallery, and next spring and summer in Trelowarren. I will also be putting my work into various local craft fairs and galleries in November and December ready for Christmas. 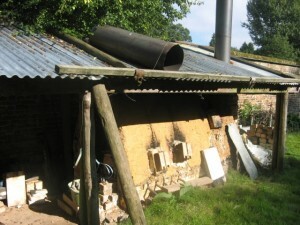 About ten years ago, Nina Peskett and I decided to build a wood-firing kiln together. 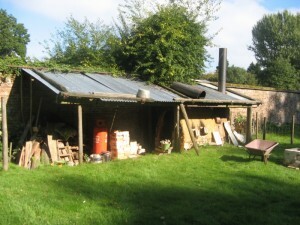 She and her husband, Lawrence, designed it and then the three of us proceeded to build it on land in front of her house in Hampshire. I fired it with her a few times and then got caught up with life in Cornwall, doing my P.G.C.E, working at Drym Valley Centre, moving house. The project that we had embarked on had to fall by the wayside on my part, and Nina continued firing it with others or sometimes on her own, and continuing to develop lovely work. 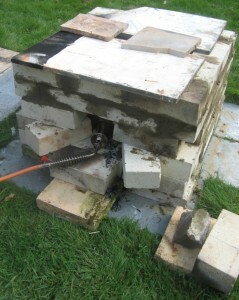 Recently, during a catch up telephone conversation we decided to do a firing together once more, we decided that we would also include some experimental firing in two raku kilns, one made out of bricks and one made out of a metal rubbish bin. Time was quite tight as Nina had an exhibition coming up early October at the Watt Gallery in Compton so we both had a lot of making to do in a very short time. 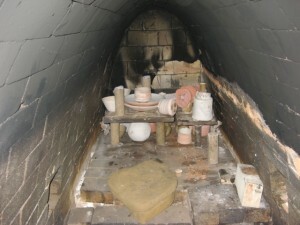 I am posting up some photos of wood kiln and the brick raku kiln. 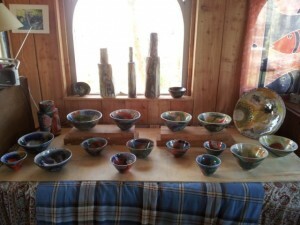 Hopefully soon to follow will be some of the kiln firing at night time – such a magical sight – if I can get the photos off my phone! 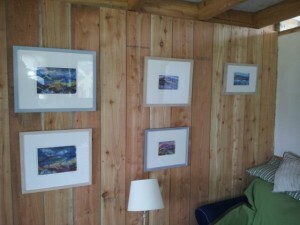 Thanks to all those that came to my first Open Studios in Pendeen after having moved studios from Trevelloe. 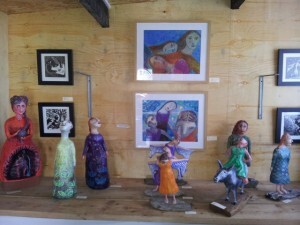 I’ve put a picture below of some of my exhibits as well as photos of work made by colleagues from Drym Valley Day Centre – Peter Charnley’s monoprints, Belinda Landini’s papier mache figures, lino cuts and pastels, and Diane Haddon’s paintings of her home county of Donegal, and also friend Mo O’Brien’s ceramic buttons. 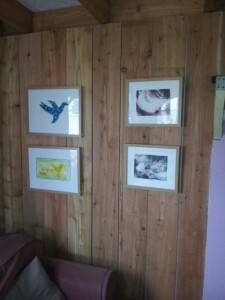 Better photos of my, and their work will appear as soon as I can get a hang of posting up on my website! 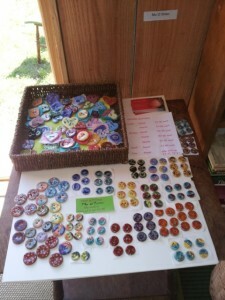 I am now open at any time of the year, but do ring before visiting to make sure you catch me in.